MICROMATTER diamond-like carbon (DLC) foils are manufactured using a proprietary laser plasma ablation process. An intense laser beam is used to evaporate carbon from a graphitic sputter target. In the process, the graphite structure of the source material is converted into nano-particles, which deposit on prepared substrates as diamond-like carbon. 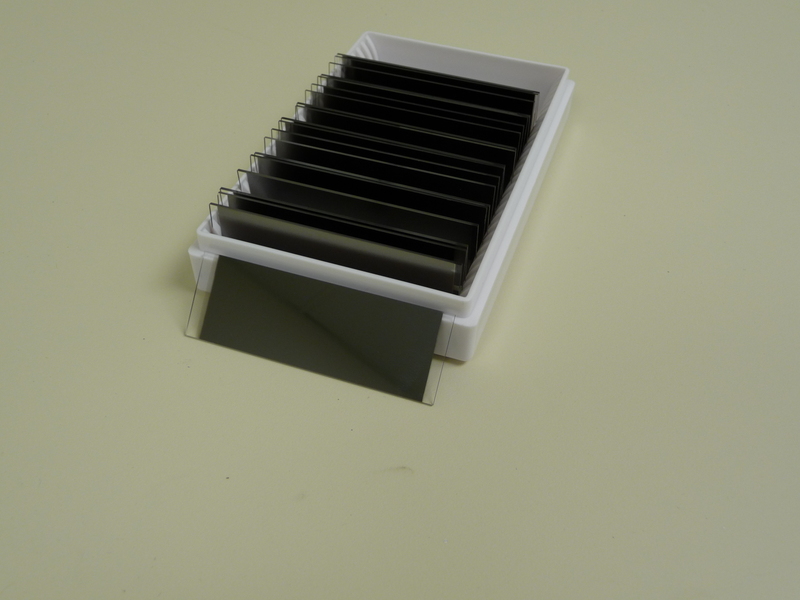 The properties of these unique carbon foils make them useful in a variety of applications, in particular beam stripping, as backings for accelerator targets or x-ray attenuators. MICROMATTER DLC foils consist of homogeneously distributed carbon nano-particles, which gives them special mechanical properties. DLC shows high electrical resistivity, remarkable hardness, and good thermal conductivity. In addition, DLC's mechanical strength makes the foils easier to handle and users are reporting that DLC foils are proving to be a superior choice in a number of applications. MICROMATTER DLC foils are available in a wide range of thicknesses and sizes. Thin films are generally delivered on glass substrates coated with a release agent. Foils ≥ 0.5 µm can be produced self-supporting.